Buy 1 - 2 for $49.12 ea. Buy 3+ for $44.12 ea. 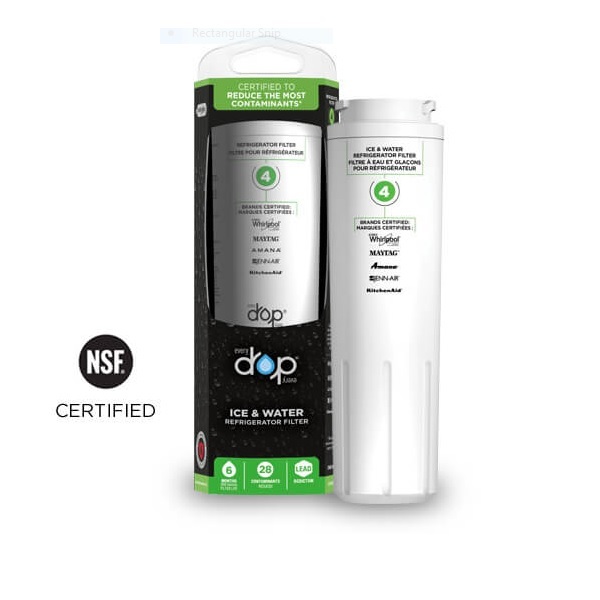 The Whirlpool EveryDrop EDR4RXD1 is the compatible replacement for the Maytag Puriclean II UKF8001, UKF8001AXX Refrigerator Water Filter 4. The Whirlpool brand has long been recognized as a household name because of its water filtration technology that you can now experience straight from your refrigerator when using the EveryDrop EDR4RXD1. How easy is it to replace the EveryDrop EDR4RXD1 filter? Turn and remove the old filter then place the new unit and turn until secure. A new filter can reduce particulates such as lead, mercury, cysts, and 13 other contaminants sometimes found in water, as certified by NSF Standard 43 and 52. Fluoride is not reduced with this filter. What is reduced, however, is unappealing chlorine taste and odor that can leave a bad taste in your mouth. The carbon filter media works to capture a lot of nasty stuff you don't want to put into your body while making your water taste better. All these benefits and it only takes a simple turn to replace your EveryDrop EDR4RXD1. Your refrigerator model might not be listed. To check compatibility refer to the manufacturer. 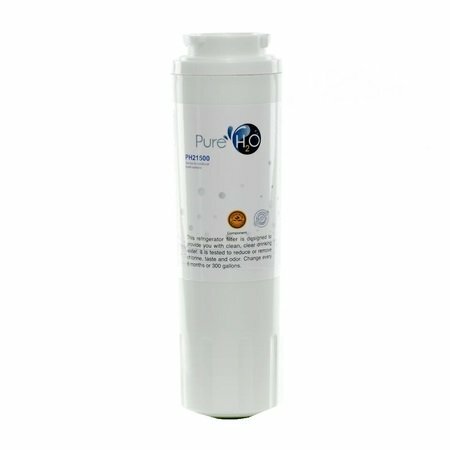 The PureH2O PH21500 is the compatible replacement refrigerator water filter for the filters listed below. The PH21500 features a coconut carbon filter media the reduces and/or removes chlorine taste and odor, while it traps contaminants down to 0.5 microns in size. Built with a durable, leak-proof white canister, the PH21500 should be replaced every 6 months for optimal performance and efficiency. PureH2O is a Filters Fast brand product certified for NSF Standard 42 and approved for the WQA Gold Seal that verifies the product is made from safe and durable materials with claims backed up by test data so you know you are the most optimal filter possible.